Four bright, fun, pastel candy colours make up the latest CND Nails collection — Chic Shock: where K-Pop meets spring. 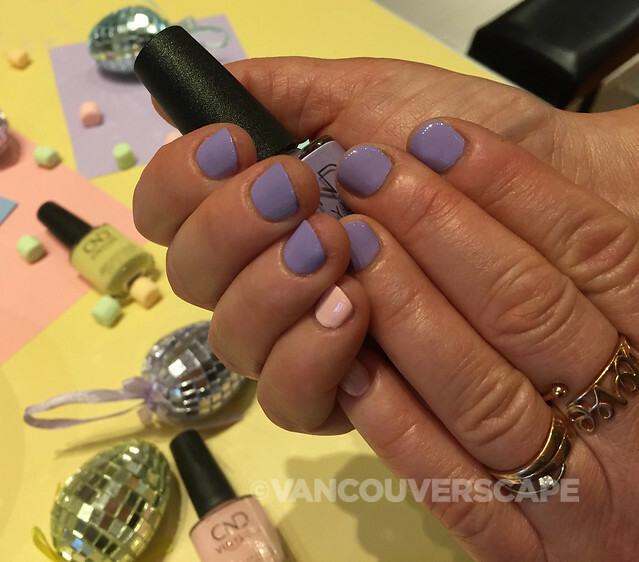 Inspired by South Korea’s K-pop trend, CND’s brought Seoul’s sugary, hip-hop street life to colour with Candied (pastel pink), Taffy (baby blue), Jellied (Easter chick yellow) and Gummi (lively lilac). The four colours bring Easter candy immediately to mind, perfectly timed with the March launch. Mix, match and pattern these beautiful shades in both Shellac Gel and Vinylux Long-Wear polishes. CND Vinylux polish has received a pampering upgrade, boasting Keratin, Vitamin E and Jojoba Oil in its formula. 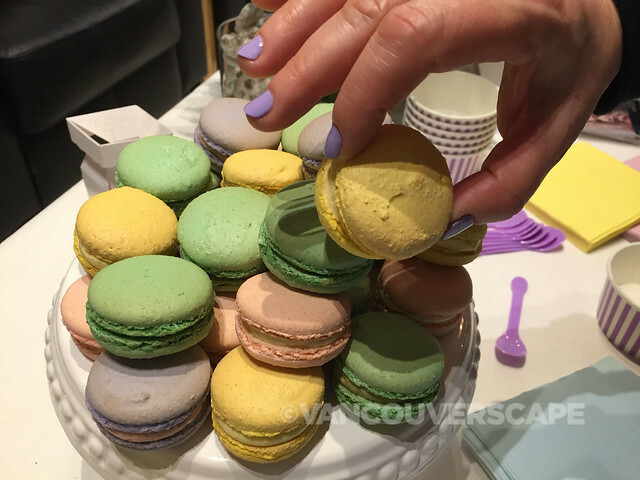 At a recent nail launch party hosted by Onyx Aesthetics Studio, I got treated to a manicure with two of the shades. Here I’m wearing Gummi with Candied pinkies – Pretty in Pinky 🙂. I’m happy to report that after having a manicure done with this bright and happy new collection, my nails feel soft and shiny. The ladies at Onyx are real pros when it comes to pampering their clients! During my manicure, I noticed that the bottle brush has gotten an upgrade, now sporting an ergonomic, curvy design to make applying polish and top coat that much easier. The two-step Vinylux at-home process includes an all-in-1-self-adhering base colour followed by CND’s Top Coat. Its gel-like shine can be removed just like a regular polish, making it ideal for home use. 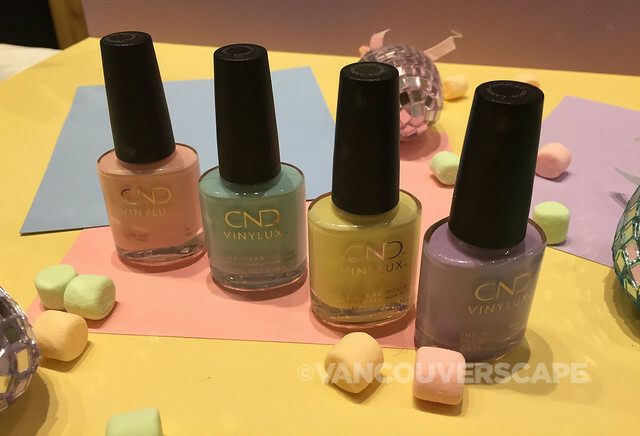 100 shades of CND Vinylux will soon be available at Shoppers Drug Mart too. Both product lines are currently available at salons for CAD $12.50. Visit CND’s salon finder to locate CND products near you.